Alright, I need some input from everyone who wants to be involved. I've come up with a few different formats, let me know what you think you'd rather do for Mage selection. 1. Completely open each week. The book you choose each week is unrestricted. You can use a single book as many times as desired or change books on a weekly basis if you wish. 2. Use 1 mage the whole time but have the ability to change the layout of the book you use each week. 3. Use 1 book the whole time with no changing week to week. Once we get this nailed down and a participant list finalized, I'll start a challonge site for everyone to keep track of the standings. I would definitely prefer a whatever goes with regards to mage choice. I know I tweak books almost every time I log on to OCTGN based on previous games and I'd rather not get stuck with a book I know has a specific weak point that can be fixed. I'm just more of a fan of the casual game style which would allow each person to pick whatever mage/book they want given how they are feeling a certain day. Maybe once we get to a top 4/8/12 and the playoffs, then we start limiting to either a different mage each match or the same exact mage, but for the "regular season", I'd be a vote for anything goes. Seconded. Exactly what Vendetta said. I'm sure I would want to change at least a little something once in a while. So 3 in its current form - not a big fan. Still it would be unfair if someone for example choose Warlock as their permanent mage and then everybody took multiple Dragonscale Hauberk, Elemental Cloak, Wall of Earth etc. - some of the other mages have pretty hard counters as well. So no changing or allow changing mages also. Well, it appears that option 1 is the winner. I think I'll extend signups until Friday night at 1159 Central US time (UTC - 5) at which point I'll get the Regular Season schedule going. I'm willing to accept more than 10 signups, but the above are who has shown interest so far. Also, regarding scheduling: I'm thinking of just releasing 3 names at a time and giving everyone 3 weeks to get those matches in. This way, if someone has a rough week, they have a bit more scheduling flexibility. Does that sound good to everyone? How is not allowing players to change their Mage any different from if they were allowed? What matters isn't WHO plays a Mage, but rather which Mages are being played. If players A-D each pick a different Mage, and then player B switches mages with player D, that would not alter the metagame. Once I have the time to figure out how OCTGN works, I would consider being included for future games. I'm probably not as computer savvy as most of you on here, so I got about as far as downloading and being able to watch a match, but that's it. Ditto. I'm reasonably computer-savvy, but messing around on OCTGN for 30 minutes led me to recognize that if I were my own opponent, I'd be annoyed with how long it takes me to execute simple tasks - not to mention accidentally revealing cards that I'm trying to plan or enchantments I'm trying to cast face-down. Besides, my limited gaming time is already tapped out with the little bit of live play I'm committed to; not sure if/when I'd have enough time to commit to organized play online. Maybe one day. The good news is that if you do decide to play, the OCTGN community is ridiculously forgiving and generous for people not familiar with the interface. I haven't run into one person that wasn't willing to help their opponent learn how to go about navigating the interface. Once you practice a bit, I have noticed it becomes second nature. I would like to join too. If it is every 2-3 weeks that would work really well as I am also quite busy. I would need to reinstall octgn stuff on this pc and get familiar with the interface/play. It has been 1.5 years or more since I played on there last I think. I like the idea of allowing people to pick different mages and update books between matches and allowing all cards would be very interesting.  So, that includes promo cards that have not been formally released in a set? Things that have been printed and handed out, but not released would be available for the game? I know May is usually a busy month for almost everyone stateside. Graduations, holidays, etc. I know I am booked all weekends in May already. Could it start beginning of June? Reminder to everyone, I'll accept signups until 2359 Central US time tonight. After that I'll get the league set up and the schedule set with the rules posted so everyone can get started playing. Oh Great! If I can forfeit a game when I can't schedule a game that would work for me. Count me in if there's still spots available! iNano if you need some help with OCTGN I can give you some pointers at the next meetup or we can even setup some practice matches beforehand. Let me know if you're interested.